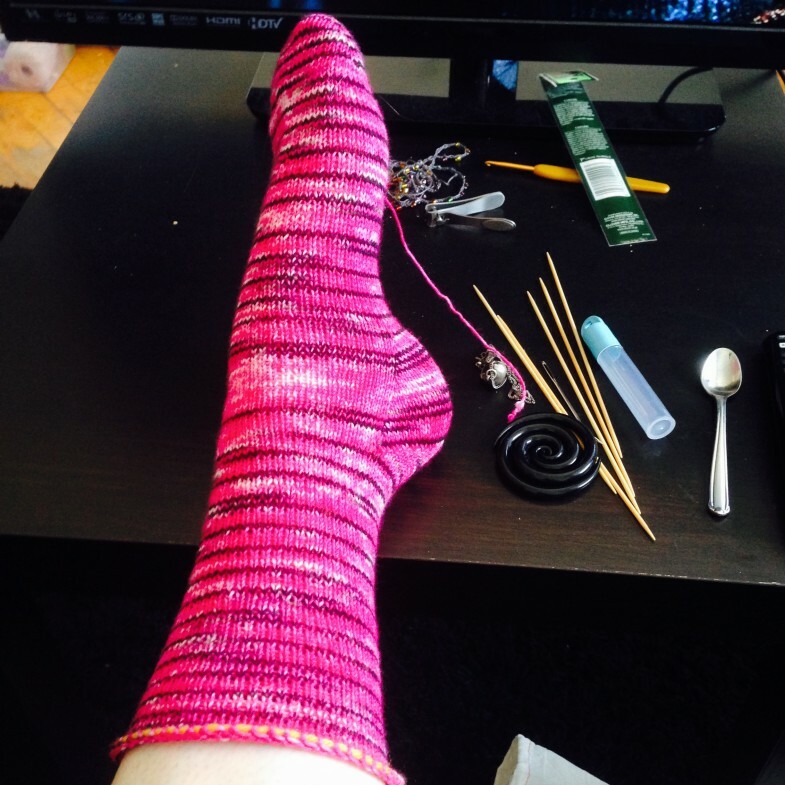 I’d been humming along with the first sock, knitting simply stockinette in the round for some time before remembering that I had been planning on doing some calf increases. Placing the live stitches on some waste yarn, I tried on my sock. Looks like just in time. Some increases are probably a good idea before the sock gets any taller. 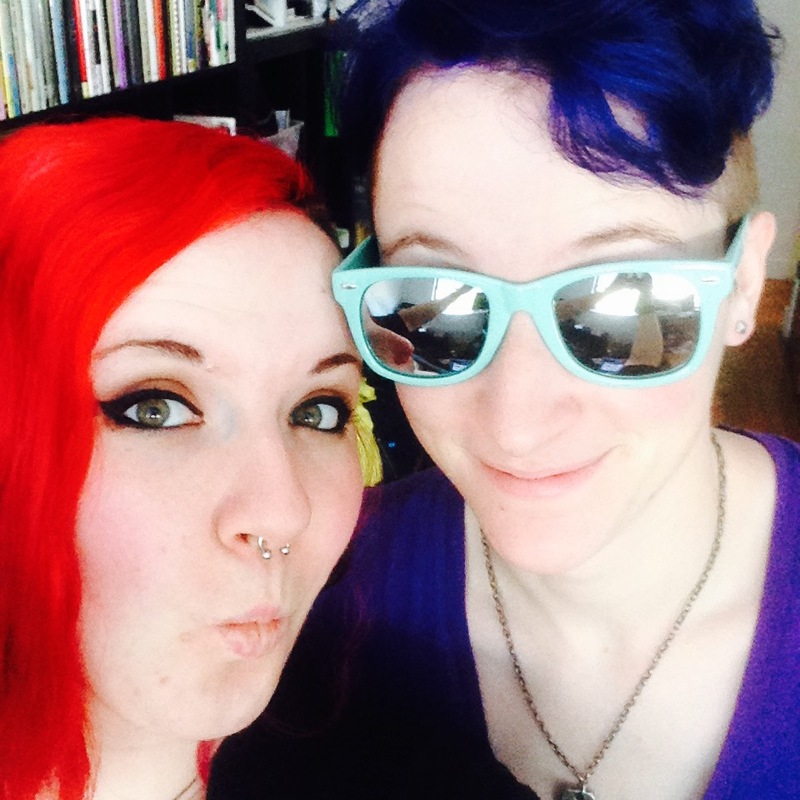 In other news, my little sister visited so we dyed our hair. She had never dyed her hair before, and went with Special Effects Blue Velvet (I had half a bottle left over from when I had short blue hair.) And I stuck with reds and some pink, using up the remnants of several bottles I had laying around — so a mix of Virgin Rose, Cherry Bomb, Nuclear Red, and Blood Red. 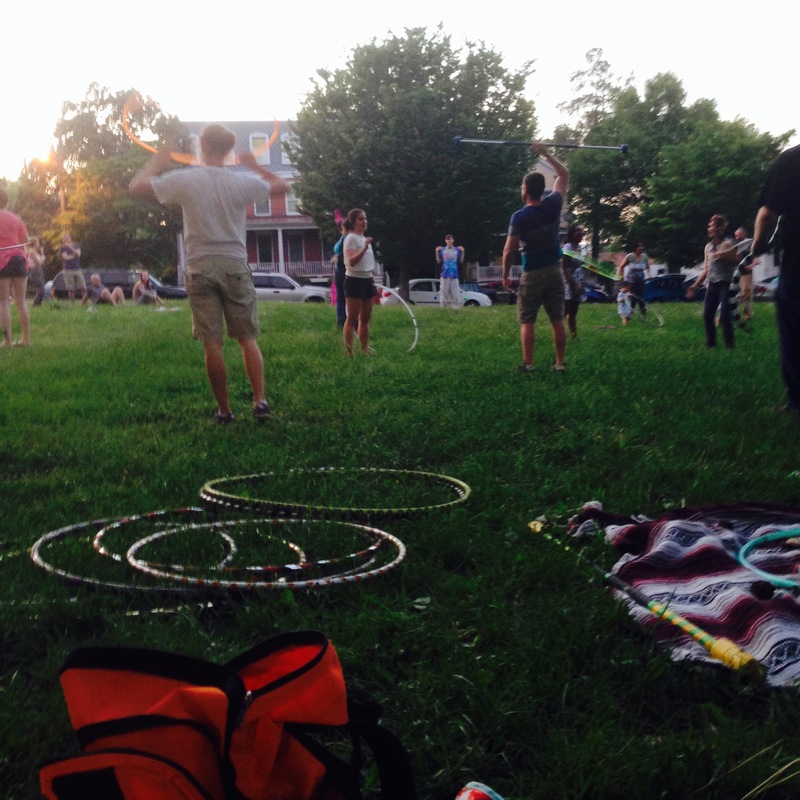 And, on Sunday, went to Dancing in the Dark/Sunday Funday — a weekly summer meet-up of hoopers and spinners. It was my first time going; the first one was rained out, and I didn’t want to go to the second one by myself. But, Cmer and I were able to go to this one and had a good time. 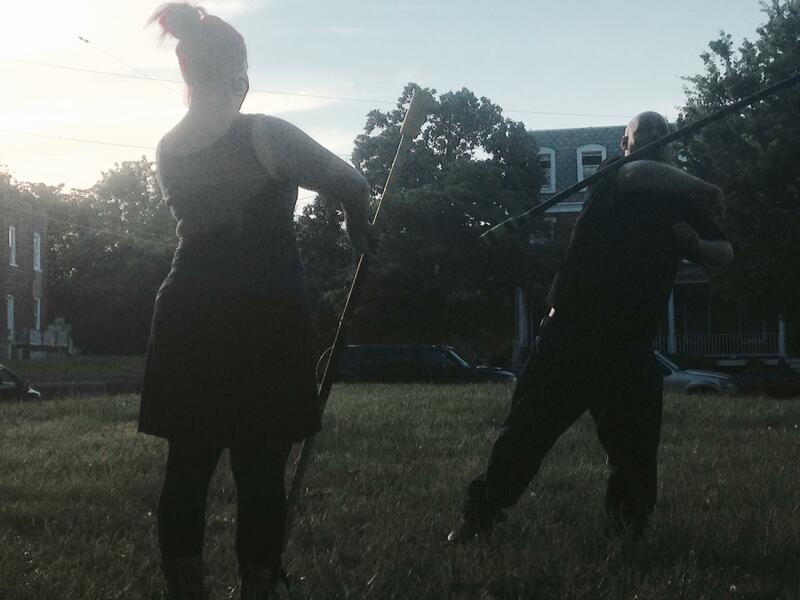 And, I also got to play some with staff for the first time, with help from my friend Steve, who I almost hit in the face a couple of times. Eeeep. All in all, a pretty good weekend!